Recently, we talked about the world’s first porous liquid that, according to scientists, could potentially be used to capture environmentally-harmful carbon dioxide from fossil fuel-based power plants. 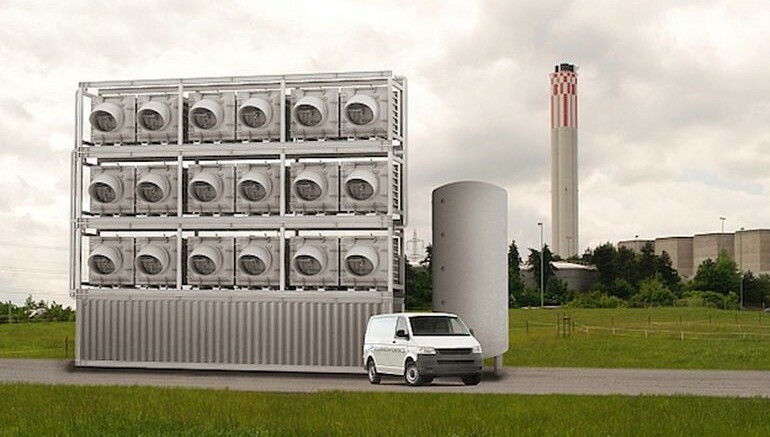 The innovators at Switzerland-based Climeworks have come up with an equally-ingenious solution, which entails trapping of atmospheric CO2 for commercial uses. 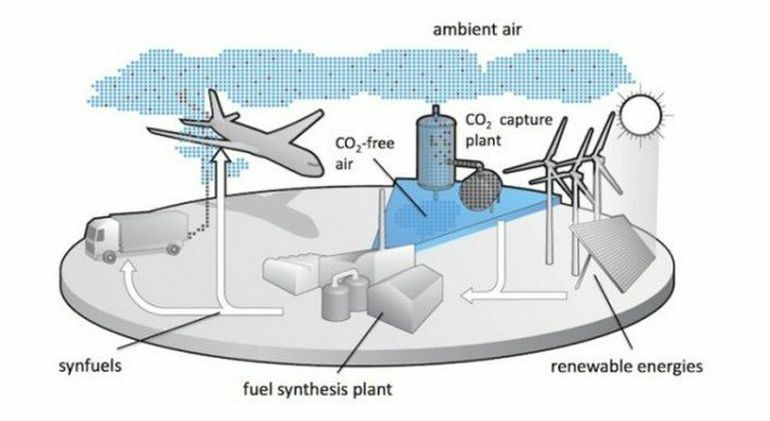 The company has developed a highly-specialized system that is capable of directly capturing carbon dioxide from the air and converting it into a range of usable byproducts. Central to the process, known as direct air capture (DAC), is a specially-designed filter that binds the atmospheric CO2 and stores it at low temperatures. When heated to around 100 ° C, the filter creates a pure gaseous form of carbon dioxide, which can then be used for a variety of industrial processes, including generation of synthetic fuels, soft drink carbonation and also growing of plants in greenhouses. According to the developers, the filters can be fitted into existing industrial structures and modular plants. They can also be scaled-up to form stand-alone carbon capture facilities. What is more, the DAC plant consumes very little energy for its operations, and can easily run on waste heat from other industries. Climeworks believes that while such plants can indeed help reduce excess CO2 from the atmosphere, and consequently reverse climate change, they should not be treated as an alternative to sustainable energy practices. Come next year, the company will have opened the world’s first industrial-scale DAC plant, with a capture capacity of around 900 tons of atmospheric carbon dioxide. To learn more about Climeworks, head over to its official website.